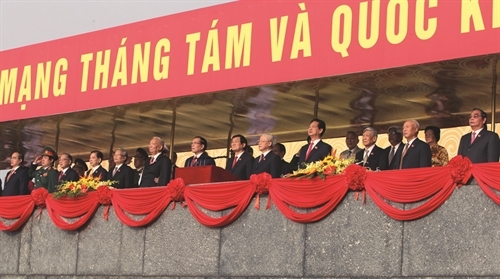 The Communist Party of Vietnam’s position and role in the political system were clearly pointed out in the Party’s Platform on National Construction in the Period of Transition to Socialism (supplemented and developed in 2011): “The Party leads the political system and at the same time is a component of that system.” This serves as a basis for the close association between the Party building and the building of the political system, heightening the leadership capacity of the Party in the political system. Judicious implementation of the principle of Party leadership over the political system constitutes a fundamental and decisive condition for the State to really become a state of the people, by the people and for the people and for the mass organizations to be foundations of the people’s administration. At the same time, this will also help the Party itself become cleaner and stronger and heighten its leadership capacity and combativeness. The Platform affirms: “The Communist Party of Vietnam is the ruling Party, leading the state and society.” Holding the reins, the Party assumes heavier responsibility before the nation, being answerable to the people for its decisions. The scope of its leadership and tasks is broader and more complicated. The Party must strongly change the content and mode of its leadership as it faces increasing threats. In the past years, the Party has attached great importance to the renewal of its mode of leadership as the leadership effectiveness relies not only on the content of leadership but also on the mode of leadership. It has renovated the forms and measures of its leadership over the State and the political system, which has resulted in important achievements in improving the Party leadership and promoting the role of the State and socio-political organizations. Together with the building of a law-ruled socialist state and renewal of the mode of Party leadership over the National Assembly, the National Assembly’s operation has been greatly changed to more democratic and its role and functions further promoted. As the National Assembly has more real power, the effectiveness of Party leadership has markedly increased. Documents adopted by various national Party congresses and resolutions of various Central Committees of the Party have charted out the course for continued renewal of the National Assembly’s organization and operation. The Party Central Committee and Political Bureau have issued resolutions setting major orientations on revision of the constitutions (for instance, the 1992 Constitution); orientations and requirements on organization of National Assembly elections; orientations on making major laws and important socio-economic issues; and orientations on annual socio-economic development. The Party Central Committee has decided on the introduction of personnel for the National Assembly to elect to the positions of State President, Chairman of the National Assembly and Prime Minister. The Political Bureau has decided on the recommendation of personnel for election to the positions of Vice State President, Vice Chairman of the National Assembly, Chairman of the Ethnic Council, Chairmen of various Committees of the National Assembly, etc. The leadership of the Party, directly through the Political Bureau, over the National Assembly demonstrates at the level of major viewpoints and policies. Such leadership has been effected more and more by the mode that the Party sets major orientations, principles, viewpoints, policies and solutions, while the National Assembly discusses and decides according to its jurisdiction specific provisions of laws, annual socio-economic targets, etc. There have been some major issues on which the Political Bureau only set forth orientations for the National Assembly to discuss and decide without imposition from the Party. The Party selects and recommends qualified Party members to work in the National Assembly; arranges a necessary number of Politburo members and Central Committee members to join the Standing Committee or preside over various Committees and Councils of the National Assembly. The Party Central Committee and Political Bureau lead the National Assembly’s operation through the Party delegation to the National Assembly and Party members being National Assembly deputies. The Party delegation to the National Assembly is accountable before the Political Bureau and Secretariat for leading the National Assembly to perform its constitutional, legislative and oversight functions, correctly observing the guidelines and policies of the Party; and deciding on organizational and personnel issues as assigned and decentralized by the Political Bureau. It also inspects the materialization of the Party’s line, policies and resolutions in the National Assembly’s work. The Political Bureau directs the Party delegation to the National Assembly and related bodies to make proper preparations for National Assembly sessions, making sure that draft laws and other important issues presented at the sessions and decisions of the National Assembly toe the party line, and at the same time to listen to and accept constructive opinions of National Assembly deputies and enhance their discussions, debates and questions, and respect decisions of the National Assembly and promote democracy in its activities. Therefore, the National Assembly’s activities have become more fruitful, attracting greater public concern. However, the mode of Party leadership over the National Assembly still witnesses some limitations. There remains puzzlement in the perception of the mode of leadership of the translation of Party resolutions and conclusions into laws and resolutions of the National Assembly. Many points in the perception of the relationship between the National Assembly as the supreme state power body in deciding on fundamental domestic and foreign policies and socio-economic tasks and the Party as the leader of the administration remain unclear and need further study and detail. The mechanism to protect the Constitution under the condition of a single ruling party has not yet been deeply and comprehensively studied. The Party has established a system of correct viewpoints and principles on the competence, responsibility and organization of the Government. Ministries and ministerial-level agencies are organized to perform multi-sectoral management. The Government uniformly manages the performance of political, economic, cultural, social, defense, security and diplomatic tasks of the State. The Government, ministries and sectors focus on proposing bills, developing institutions, plans and policies on macro-management of socio-economic development, and directing and inspecting their implementation. The Government performs macro administration, supervises, inspects and facilitates development, and ensures the effective and smooth operation of the state administrative apparatus from the central down to grassroots level. The relationship between the Party and the Government and between the Party Central Committee and Political Bureau and the Government’s Party Caucus Commission has been articulated more clearly. As the political leader, the Party only decides on issues related to major viewpoints, ideas and policies as guidelines for the Government to organize the implementation. The Party neither decides on specific issues under the Government’s management nor acts in substitution of the administration. 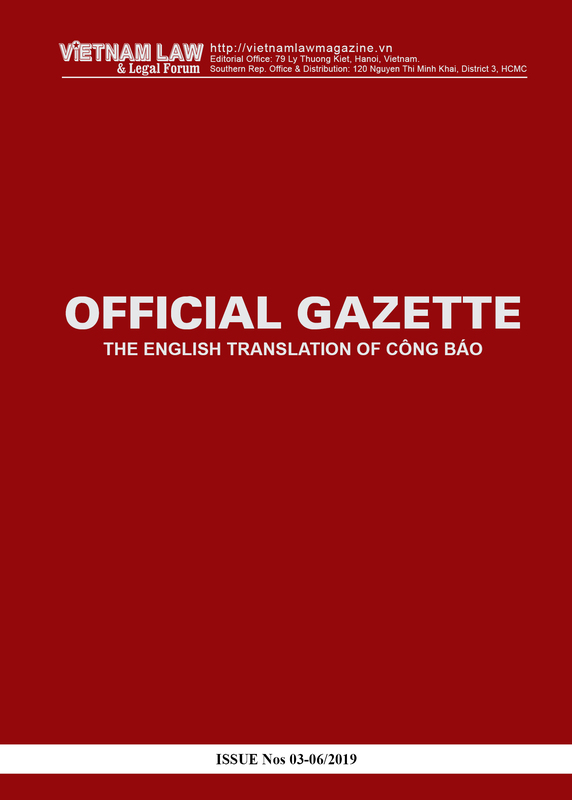 The Party Central Committee and Political Bureau only consider and decide on major orientations and policies, ensuring their conformity with the Party’s political direction. For instance, regarding socio-economic issues, the Party Central Committee and Political Bureau consider and decide on planning objectives and orientations, state budget orientations, policies on economic sectors, economic structure, management mechanisms, planning on development of key regions and sectors, policy on construction of important national projects; and policies on culture, social issues, education, science, healthcare, etc. Regarding administrative reform, the Party Central Committee issues resolutions while the Government develops and implements master plans for each period. The selection of important matters related to the Government’s work which the Party should discuss and decide is extremely necessary in order to avoid the confusion between the leadership function of the Party and the administration function of the Government. The Party arranges a number of Politburo and Central Committee members to participate in the Government’s Party Caucus Commission and lead the Government, ministries and ministerial-level agencies (through election and ratification by the National Assembly). The Party leads the Government via the latter’s Party Caucus Commission, which is attached to the Political Bureau, while the Party Caucus Commissions of ministries and ministerial-level agencies are directed by the Secretariat. The Government’s Party Caucus Commission is accountable before the Party Central Committee for all activities of the Government and responsible for presenting policies before the Party Central Committee and Political Bureau. The Party performs absolute, direct and comprehensive leadership over the People’s Army, the People’s Public Security and national defense and security work, strengthening the State’s centralized and unified management of national defense and security activities. Nevertheless, the mode of Party leadership over the Government still faces some limitations. In a number of cases, the Party leadership is not clearly distinguished from the administration of the Government or ministries and sectors. Therefore, overlaps are still seen here and there. In some cases, the Party Committees still either act in substitution of the administration or relax their leadership over activities of the administration. In other cases, the administration shifts its responsibility for deciding on matters falling under its jurisdiction to the Party Committee. The functions and tasks of the Government’s Party Caucus Commission have not been clearly defined. The relationship between this Commission and those of ministries and sectors; the relationship between this Commission and the standing cabinet members; and the relationship between the Party Caucus Commissions and Party Committees of ministries and sectors remain unclear. The existence and operation of the Party Caucus Commissions of ministries and sectors remain nominal in some cases. The personal roles and responsibilities of Party members holding key positions in the administration have not been well promoted. During the past years, the mode of Party leadership in the judicial domain has been greatly renovated to help judicial bodies properly perform their functions and duties in order to promote the people’s mastery, protect the legitimate rights and interests of citizens and ensure strict and uniform law enforcement. The Party has established a system of viewpoints and guidelines for judicial activities as expressed in resolutions and directives of the Political Bureau and Secretariat, and institutionalized in the 1992 and 2013 Constitutions, the Law on Organization of the People’s Courts, the Law on Organization of the People’s Procuracies and other laws. Particularly, Politburo Resolution No. 08-NQ-TW of January 2, 2002, on a number of central tasks in judicial activities in the coming period, and Resolution No. 49/NQ-TW of June 2, 2005, on the Strategy for Judicial Reform toward 2020, set forth the objectives, viewpoints, modes and tasks of the judicial reform toward 2020, requiring higher operational quality and higher responsibility of judicial bodies in investigation, supervision, adjudication and judgment enforcement activities. The Political Bureau has also established the Judicial Reform Steering Committee for elaborating the judicial reform scheme and developing annual reform programs. The Party has determined viewpoints on the organization and operation of judicial bodies and established criteria for appointment of judicial officers, which serve as the basis for organizational renewal of the People’s Courts and People’s Procuracies. Since the enactment of the 1992 Constitution, the organization and operation of the People’s Courts have witnessed many changes: The regime of election of judges has been replaced by the regime of appointment; specialized tribunals (such as administrative tribunal, labor tribunal, economic tribunal) have been established. In line with the Party’s and the State’s policies on judicial reform, various laws and regulations on organization and operation of the People’s Courts have been revised or introduced, helping raise the quality of adjudication work and reduce wrong and unjust trials. A more scientific litigation process has been established, attaching importance to adversarial arguments and the role of defense counsels. In light of the 1992 and 2013 Constitutions and the judicial reform, the functions and tasks of the People’s Procuracies have been adjusted, focusing on prosecution and supervision and settlement of administrative, economic and labor cases. Progress has been seen in the exercise of the power of public prosecution and supervision of investigations of criminal cases. The courts and procuracies at different levels have placed a great deal of importance on raising the quality and qualifications of their staffs. The Party Caucus Commissions of the Supreme People’s Court and the Supreme People’s Procuracy (both are attached to the Secretariat) have been further strengthened. The functions, tasks and working regulations of these two Commissions and the leadership and direction of the Political Bureau and Secretariat have been clearly determined. These Commissions are responsible for leading activities of their sectors in accordance with the Party’s guidelines and law and preparing capable and qualified personnel for election or appointment to the judicial bodies in accordance with law. The Party leads the court system but honors the independent adjudication by courts. Article 103 of the 2013 Constitution states: “During a trial, the judges and assessors are independent and shall obey only the law.” As a result, the Party Committees’ intervention in adjudication work has markedly reduced. For a number of extremely grave cases related to political security, external relations or officials under the management of the Political Bureau and Secretariat, at the request of the judicial bodies, the Politburo and Secretariat may give guidelines but do not decide on specific matters under the jurisdiction of the judicial bodies. The Vietnam Fatherland Front and socio-political organizations constitute important components of the political system, the political bases of the people’s administration and the “bridges” between the Party, the State and the people. They play an extremely important role in the cause of national great unity, national construction and defense, representing and protecting the legitimate rights and interests of the people; caring for the interests of their members; advancing democracy and building a healthy society; participating in building the Party and State; and enhancing the ties between the people and the Party and State. Therefore, during the renewal years, the Party has attached great importance to enhancing its leadership and renewing the mode of its leadership over the Front and socio-political organizations. The Party respects their autonomy, supports their voluntary, active and creative activities and listens to their opinions. The Party and State have created mechanisms and policies for the Front and socio-political organizations to operate effectively. 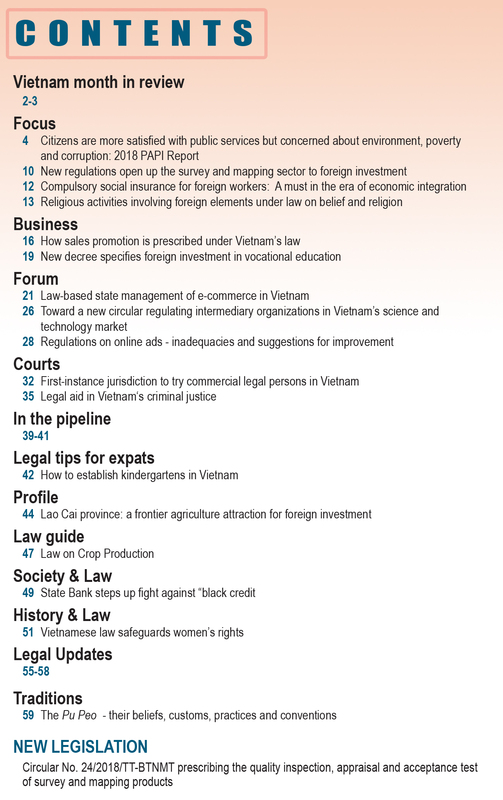 The Party leads the State to institutionalize the roles, functions, competence and responsibilities of socio-political organizations into laws, such as the Law on the Vietnam Fatherland Front, the Law on Trade Union, the Law on Ho Chi Minh Communist Youth Union, the Law on Farmers’ Association, the Law on Women’s Union, and the Ordinance on War Veterans. The Party delegations to the Front and its member organizations, which are attached to the Secretariat, have been strengthened. Their functions and tasks have been specified. Regulations on the Political Bureau’s and Secretariat’s leadership over those Party delegations have been issued. The working relationship between the Party delegations in the Front, the National Assembly, the Government and ministries and central sectors has been clearly defined. The Political Bureau and Secretariat lead and guide the contents of activities of the Front and socio-political organizations in each period; promote their dynamism and creativity and the diversification of forms of their operation. The principle of political consultation in activities of the Front and the principle of democratic centralism in activities of the Party delegations and Party members in the Front have been clearly distinguished. 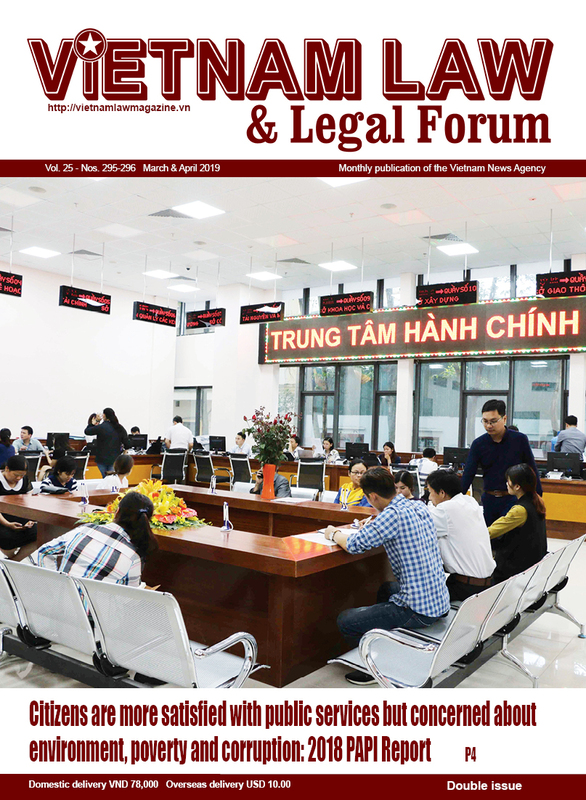 The Political Bureau has issued the Regulation on Supervision and Social Criticism of the Vietnam Fatherland Front and socio-political organizations and the Regulation on the participation of the Front, socio-political organizations and people in building the Party and building the administration. The Party prepares the introduction of Party members for the Front and socio-political organizations to elect to their key leading posts. The renewal of the mode of Party leadership over the State and the political system has resulted in important achievements, increasing the effectiveness of the Party leadership while promoting the role of the State and socio-political organizations. - To further conduct theoretical and practical studies of the organization and operation of the political system, of which the Party is a component and at the same time the leader. - Though the 2013 Constitution was promulgated, further study should be conducted to make clearer the functions, tasks, organization and operation of state agencies and institutions (the National Assembly, President, Government, judicial agencies, and People’s Councils and People’s Committees at all levels), and the division of responsibility, coordination and control among agencies in the exercise of the legislative, executive and judiciary powers. Particularly for the basic institutions of the State, the Party should adopt a peculiar mode of leadership. - To continue with theoretical study and practical review of the competence and responsibility of the ruling Party and the law-ruled state, the relationship between the Party’s leadership and the State’s management, between the Party’s leadership role and the supremacy of law. To further issue and improve regulations on coordination between Party agencies and organizations and state agencies and organizations as well as mass organizations at all levels. - To determine democratization of the Party leadership as a major orientation in renewing the mode of Party leadership. To further renew the mode of Party leadership in the election of people-elected deputies in the state apparatus. - To enhance the leadership of the Party Committees at all levels over personnel work in the state apparatus, ensuring the Party’s unified leadership of personnel work and management of officials. The appointment of Party officials to the state apparatus for leading the Government and ministries and sectors is an extremely important issue of the ruling Party. Therefore, it is necessary to correctly elect and appoint officials having political leadership ability as well as state administration capability. Hence, Party membership should not be regarded as the only criterion for appointment of administration officials. It should not be taken for granted that as a Party member or Party Committee member, one could do everything and that any administration position should be held by a Party member or Party Committee member. It is not necessary that all ministers must be members of the Party Central Committee. - To intensify the Party’s inspection, supervision and disciplining work, and at the same time to closely direct activities of inspection agencies and other law enforcement bodies. Documents of the XIth National Party Congress, Chinh Tri Quoc Gia- Su That Publishing House, Hanoi, 2011, p.144.